Speaking at both Tower Point and Hove's Tuesday morning Cereal Filler's this month, Nick Kuh kicked off the start of November's INF9RMER with a story of twists and turns about the evolution of his screen time monitoring app Mute, and how it is now taking the digital world be storm. PLATF9RM welcomes PR Gurus FUGU with open arms as Hove Town Hall's glamorous new office occupants. The calming chords of classical piano may be all your Tuesday Morning needs, and Jay Torry has brought you exactly that in the release of his debut album, Still My teacher. Recent PLATF9RM Learns hosts Roxy and Jerome introduced us all to Coglode's free blog, which drip feeds bitesized information to help companies understand behavioural psychology. Next up we got an insight into the passionate art-deco inspired artwork by Cleo Barbour. A man bustling with restless talent, we heard from Jason of Move Animation who has recently brought his creative platform to PLATF9RM. 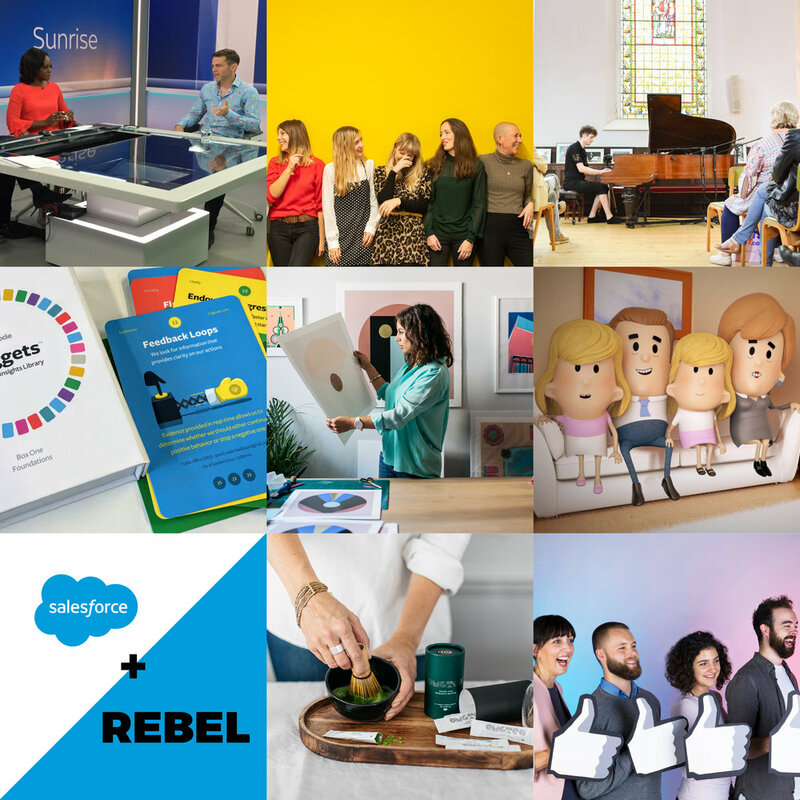 The Salesforce was strong with this Rebel, as Mark Robbins told us all about how the company he works for 'Rebel', originally made up of 17, has just been acquired by Salesforce and is now a team of 30,000 strong! We then heard from INF9RMER regular's OMGTea, who let us into an early release secret about their amazing new single serve sachets of Matcha green tea, up now on their glamorous new website! Closing this month's INF9RMER was a bunch of smiley faces that light up the workspace around them, Social Brighton: A team who are soon to be running a half-marathon next February in aid of helping prevent male suicide - help support their cause! Thank you to everyone who put in the time to offer news for this month's INF9RMER, if you have something you would like to include for December then contact Membership Assistant Matt.